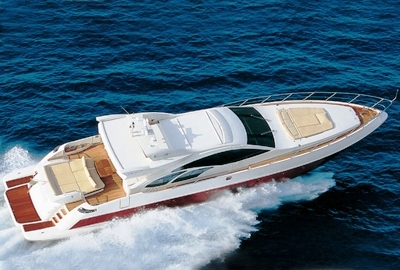 Luxury motor yacht LISSI (ex Mojito) is an Azimut 86S from the open line that delivers formidable performance. 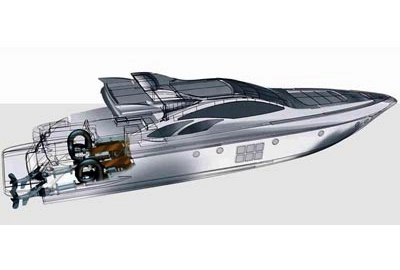 Thanks to her twin 2000 MTU engines, with Arneson drives she is one of the fastest Azimut’s on the market able to attain speeds of an incredible 38-44 knots. Motor yacht LISSI (ex Mojito) can accommodate 8 guests in 4 cabins and is based in the Tuscany region of Italy in the Western Mediterranean. 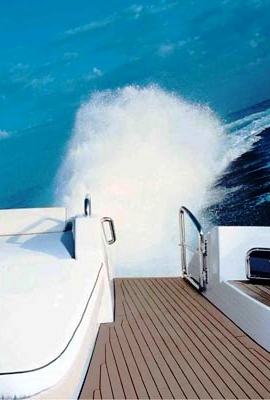 The luxury motor yacht LISSI features a low, beautifully proportioned express profile with a slightly dipped bow, a tapered aft section where her Arneson drives are hidden under an artfully conceived teak swim platform and distinctive rectangular windows amidships on each side of her striking red hull. 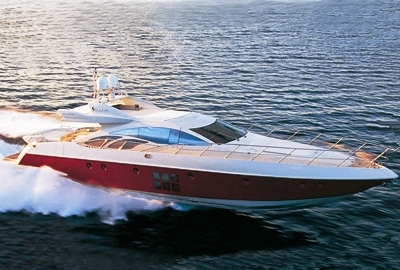 Azimut motor yacht LISSI is based in the Tuscany region and is perfectly equipped for charter in the Mediterranean. 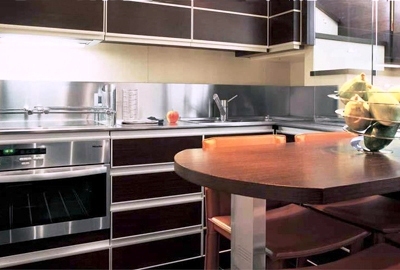 Launched in 2005, motor yacht LISSI features a contemporary interior design, has been built to a very high specification and was refitted in 2010 with a new Teak deck, with upgraded interiors featuring maple and wengé. 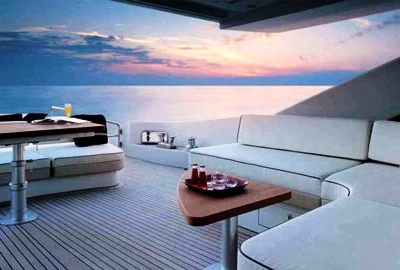 Thanks to Motor yacht LISSI's sliding roof top she offers great space and comfort at anchor. 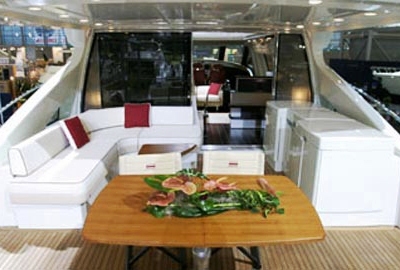 The cockpit and the wide saloon can also become a single area thanks to the almost total opening of the aft door increasing the feeling of space. 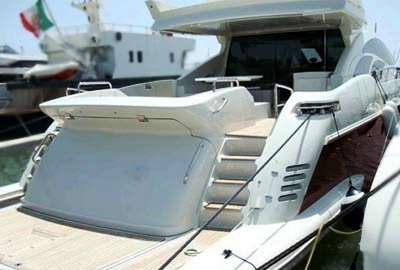 The Azimut 86S LISSI has a four-stateroom, four-head layout that includes a forepeak VIP with an island queen mattress and a pair of double-berth quarters just aft. 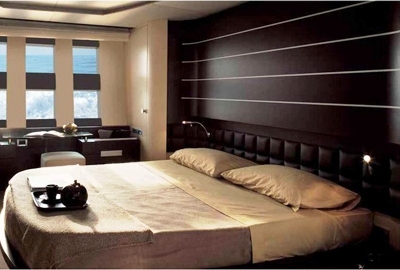 The sumptuous master suite is located amidships to take full advantage of the widest part of the beam and offers not only spacious accommodations but, as with all the living quarters aboard, plenty of stowage space for extended cruising. 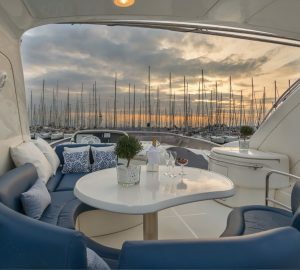 Luxury motor yacht LISSI has a crew of 3 ready to welcome you onboard for an exhilarating charter in the Western Mediterranean. 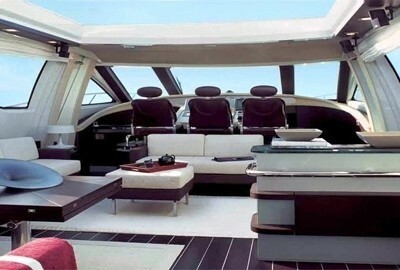 Luxury Azimut LISSI (ex Mojito) can accommodate 8 guests in 4 cabins. The Master cabin is located amidship and features plenty of natural light thanks to the set of 6 windows on each side at the surface of water. 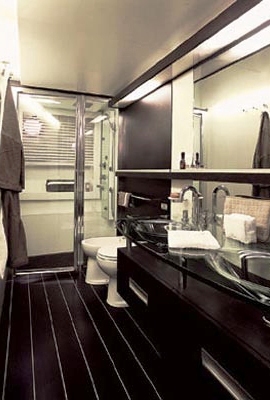 The master cabin features a double bed, a sitting and dressing area, 32” plasma TV and bathroom with double sink in melted crystal. 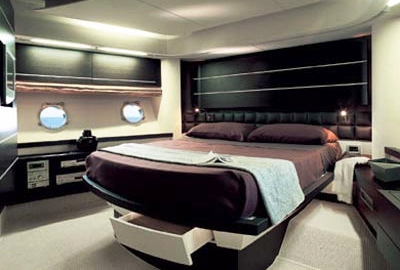 The VIP cabin with is located forward and has a double bed, 17” LCD TV with DVD and bath/shower. The 2 guest cabins with 2 twin beds have a 15” LCD TV with DVD and their own bathroom, are located between the Master and the VIP cabin. All cabins are equipped with intercom.